Basic fighter training advice on mentality, training, sparring and fighting attitude. 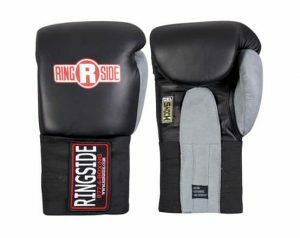 Highly recommend for beginner boxers. You’re not here to seek revenge against the bully at school. You can do that more efficiently by using a weapon (I’m not suggesting this), using strength in numbers, of notifying school staff. Boxing requires many of the same traits using in fighting. While boxing will ultimately help you channel aggression into something positive, it’s important that you understand that at the end of the day, boxing will be a sport. Although it can be raw and violent, it also requires dedication and hard work. The best reward in boxing is that it makes you a better person, not a better fighter. At some point sooner or later, you’ll have to realize that boxing isn’t about fighting and that it just becomes a game–albeit a really hard challenging game, but still just a game nonetheless. To always approach boxing with the mentality of “fighting” would make you a victim of the sport. Sooner or later, that mentality gets you hurt physically, and mentally. Make sure that you love boxing. Don’t just come into the ring everyday looking to prove something. Being tough proves nothing other than that you’re tough. It’s cool for a while and then it becomes meaningless after you’ve already established it. Being tough doesn’t make you a great fighter. Enjoy your struggles, and then enjoy your victories. This is better than constantly worrying about why you’re not good enough or why you lost your last sparring session. Just enjoy fighting! Every punch should be relaxed, hard, fast, and accurate. If you put too much focus on any one area, the other areas suffer. Relax too much and your lazy punches leave you open to counters. Hard punches waste energy leaving you tired later. Speed punches may be deficient power and accuracy. Accurate punches require too much focus on offense leaving your defense open, they might also influence your style to be overly passive. Not All Punches Are Equal! Your jab should be used 75% of the time. Right cross 20% of the time. Left hook 4% of the time. Uppercuts 1% of the time. I’m dead serious on this one. 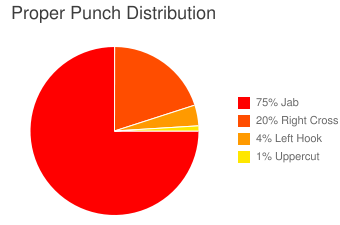 This should be your punchcount distribution when you’re training your punches on the heavybag and sparring in the ring. The jab is the most important punch. Without a good jab, your right hand matters very little, your left hook matters even less, and your uppercuts will never matter. A boxer with a great jab can keep his opponents from ever using any of their other punches. Go on youtube to see Muhammad Ali and Oscar De La Hoya do it all day long. Defense is not about NOT getting hit. Anybody can do this just by not getting in the ring in the first place. The best way to practice your defense is during sparring (preferably slow) and when your trainer is working the mitts with you. You need to have your defense tested while you are throwing punches. Having your little brother punch at you for 20 minutes while you hold your hands up will do nothing. Remembering to keep your hands up while you work the heavybag will also do nothing. Your defense skills are needed most while you are punching. There are 2 ways to overcome this. One is to work on your conditioning and cardio. The other way is to become a more efficient fighter–in other words, STOP WASTING ENERGY! Don’t overcommit to punches, don’t miss, and don’t try too hard to impose yourself on the other guy. Let the fight unfold naturally and do your best to respond to it. Think of it as swimming. If you move with the water, you will go far without spending any energy. If you fight the water, you will get tired and go nowhere. The same rule applies in boxing, and in life as well. GO WITH THE FLOW! The best athletes have the best breathing. Proper breathing is vital to efficient movement. You need oxygen to power your body. Learn how to inhale gracefully and exhale powerfully as you channel the energy through your body. Breathing keeps you relaxed, keeps you in rhythm, and regulates your movement. Exhale sharply on every movement that you make. Just as how you should do punching drills before you start punching, you should do sparring drills before you start sparring. What a concept! You take turns moving around the ring taking turns throwing 5 jabs. The first boxer throws 5 jabs, then the next boxer throws 5 jabs. Repeat. You can throw the 5 jabs however you want; one at a time, two at a time, or even all 5 at a time. Just remember to stop as soon as you finish throwing 5. Then step back and let your opponent do the same to you. Keep it SLOW!!! Light jabs. Work on moving around the ring, being aware of your balance at all times and trying to catch each jab cleanly. Keep your eyes on your opponent and look at his body reaction. The point is to throw 5 jabs and 5 catches. You are not trying to outscore each other. You should both be working on 5 jabs and 5 catches. When you first learn this drill, you should throw 5 textbook jabs and catch it 5 times exactly as how your trainer taught you to catch the jab. Once you get use to this, feel free to pivot your body around and catch jabs differently from how you were told to catch the jab. Start getting creative. Aim the jab at different areas at the body and mix in some feints. You don’t always have to go for the head; aim for the shoulder or elbow, or chest, or ear. You can also get creative with your defense, mixing in some slips or just step back and let your opponent hit the air. Again, the point is to be creative, not to outscore each other. You start the first round sparring as you normally would but both fighters can only use their jabs. Move around and work on jabbing, not hurting each other. Try to box. The second round you get to use the right hand. Now you can move around the ring throwing 1-2’s or any other combinations you want as long as you’re only using the jab and cross. Leave the tricks for when you go to competitions and want to surprise your opponents. In the gym, try to focus on building skills. Skills are the true substance of any fighter. If you have a better jab than somebody, you can impose yourself on him all day long and even if he knows your jab is coming, he won’t be able to stop it. If you’re busy learning tricks, they all fall apart the moment he catches on to your “tricks”. Hi Coach, very inspiring. It took me a while to realise this is actually a serious game than a fight. Am truly crazy about it and have made it my passion – have only sparred in the gym and expected to have my 1st Novice ring bout early next year. My dream goal is to win a gold medal at the 2012 Olympics, Is there a suitable home program that i can put up with that will enable me to achieve this dream considering that i have to be at my far gym twice or thrice per week due to my busy work schedule. I’m still putting that together. Going to be a bit of work but I’ll release the full plan very soon! 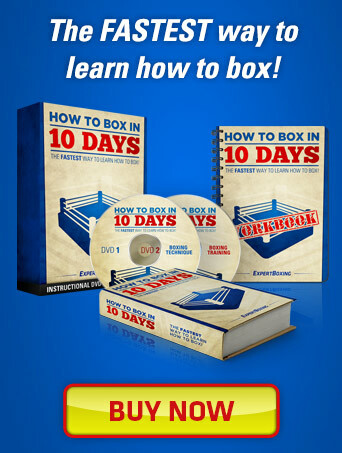 Great info for those who needed the basic understanding of what boxing is. I love boxing & have always had a passion for the beautiful sport. I still hold the sport of boxing prestigiously over mma (no dis to the sport of mma), but I just love the fundamentals of boxing. What’s your opinion of a 32 year old man trying to get in serious training of boxing? You’re never too old to build a passion for a sport that keeps you sharp mentally and physically. Never too old to enjoy boxing. The only thing I might ever say is that you might be too old for becoming a world champion…. but then again, they do have novice master divisions for older amateur fighters. 32 is nothing, btw. I see them come into the gym ALL the time. They make great sparring partners and learn very quickly because they don’t come in there with an ego and they don’t waste energy when they fight. The problem with placing the strong hand in front is that you will become a one-armed fighter. When your opponent gets past your strong arm, your left will not be strong and accurate enough to keep him away. Now that I think about it. I will create a post explaining this idea in full. Great question! Any thoughts on how many hours of training per week are necessary when someone is reading to fight on an elite level? How many hours to train per week! Hahaha…. the average competing boxer spends 3-5 hours training per day. Running & stretching is at least 1 hour. Techniques and drills are 1 hour. Sparring is 1 hour. Conditioning and warm-down is 1 hour. More jumprope, running, or stretching is one hour. They train AT LEAST 3-4 days a week. On the days that they don’t train, they stay warm and stretch. Just discovered your site and read a few articles. I found tons of excellent advices, it’s VERY helpful. I’m 15 and ive been looking for something to channel my aggresion into. Ive done fighting in the past and im going to boxing soon. But i was wondering what muscles i could work out and what exercises i could do to give me a strength adavantage until i learn the techniques? 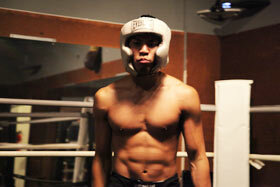 Great exercises and muscles to target for boxing, sounds like another great article. In the meanwhile, I suggest targeting your upper legs, calves, abs, shoulders, and back. Then chest and triceps last. What are your thoughts on weight lifting for boxing. 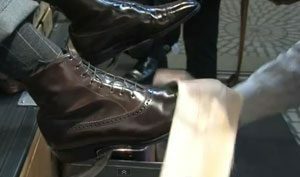 Isn’t it true that old school trainers frowned on it? But it seems fairly well accepted today although I’ve read that still most trainers cut out lifting the last few weeks b4 a fight. Is that accurate? I just getting into the ring again, and I enjoy that dearly. My question is can one increase speed? And what is the secret to inside boxing? It’s like a mystery to me. What are the rule to inside boxing? @kingsmind – thank you for the compliments. About speed, yes it’s always possible to increase your speed. As long as you train for it and raise your awareness for it, you will increase your speed! Speed of hand, speed of foot, speed of mind, all things speed! Inside boxing is a tricky game. Requires good balance, slick power, and a lot of rhythm! It’s a bit like dancing. Everyone looks good when they dance far away from each other. The moment they come close, it only looks good when they begin to respond to each other’s rhythm. You have to read your opponent’s rhythm and move exactly to the same rhythm. You alternate rapidly between punching and defending as he does the same. If you are better skilled, you will land all while he lands none. I would suggest you watch a lot of James Toney videos to see inside fighting done correctly AND LEGALLY! 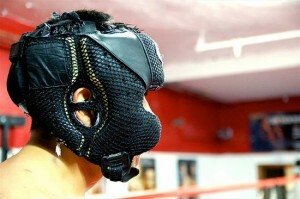 There are many inside fighters who just use dirty tactics and low-blows. Ignore them. Hey, great page you’ve given me lots of great info. im doing a charity “fight night” in may. im doing boxercise classes and circuit training to help me train. is there anything else you could add to get my skill level up? @Louise purdue, get some slow speed sparring going and lots of mitt drills! Work on staying balanced, not power. @ Jose A Odiguez – All competitive fighters I know typically run 3-5 miles at least 5 days a week. Some amateur guys will only do 3 miles, 3 days a week. Just want to thank you for a brilliant site for beginners. I”ve visited many sites and yours is the best for those who want to really get involved in boxing. Very nice articles on spars and training, concise and understandable explanation of the philosophy behind boxing. I am planning to start couching my 3.5 year-old son. What would you recommend to start with? Thanks for the answer. Keep up the good work! @Alex – start your son off with the footwork, and pivoting his body on all his punches (except the jab). Teach him how to breathe sharp. Try to keep it fun always so he doesn’t get tired of boxing. Thanks for writing and I wish your son the best! Great article. Just started boxing 5 months ago and the greatest obstacle is the mental aspect. Good point on how its not about fighting or aggression. Teaches more how to relax and efficiently exert energy; gets you to monitor how the right punch feels and focus more on your on internal state… like a good cardio workout with yoga benefits. Haven’t quite got to the sparring or defense yet but working on that jab that is second nature. Passion is a big part of any hobby but hard to find with aggression. Your articles are definitely very helpful. 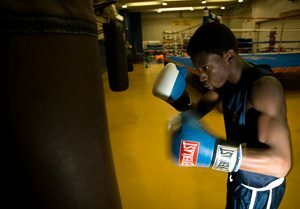 I’ve been looking for a boxing club for a while and reading your articles are definitely motivation enough to take up the sport for fitness or competitive needs. Do you have an article about shorter stockier boxers vs. taller lankier boxers? I’m not sure if the one about bigger boxers would apply. I used to do MMA and fought a guy who was a good 6 inches taller and had a massive reach on me but I took it straight to the ground where his height was a disadvantage. What would be the pros and cons besides getting closer to him to cancel out his reach? I’m asking because I figure most of the guys I would box with would be somewhat taller than I and any tips, pros and cons, or just fun facts would be great. There is more than one way to fight. You don’t always have to go in against a taller guy. You could also stay on the outside and make him swing and miss. Their long lanky arms can get tired too. You’ll have to train more and eat more. Get in the gym if you’re serious about this. My son who’s 10 has his first skills bout in about six weeks. He hits very hard and is aggressive in the ring. The problem he’s facing is when an opponent who hits very hard back and throws lots of punches he freezes a little and sort of just stands there getting hit. He tells me that he panics and isn’t sure what to do. I was wondering if you come give some advice and maybe one technique he can fall back on when he panics which will get him out of trouble. There isn’t really anyone at his club who is the same size and those who are are much more experienced and so when he spars he always seems to be under lots of pressure. Thank you. Teach him how to slip punches, keep throwing him in the ring with aggressive fighters, teach him to defend properly. He needs confidence. I’m starting boxing lessons next week, and this answers a lot of my questions, thanks! But one question still remains for me. My right arm is more dominant, because I’m right handed. I can throw a good punch with my right arm. My left arm is a different story, though. I can’t even throw a decant punch, nonetheless hooks and such. So my question is, should I just practice more with my left arm? I’m 17, I’m wondering if I still have a chance to become a champion? I notice all the greats started boxing when they were really young and I get really discouraged sometimes because of that. You need to wear bigger, more protective gloves, and to also wrap your hands properly.